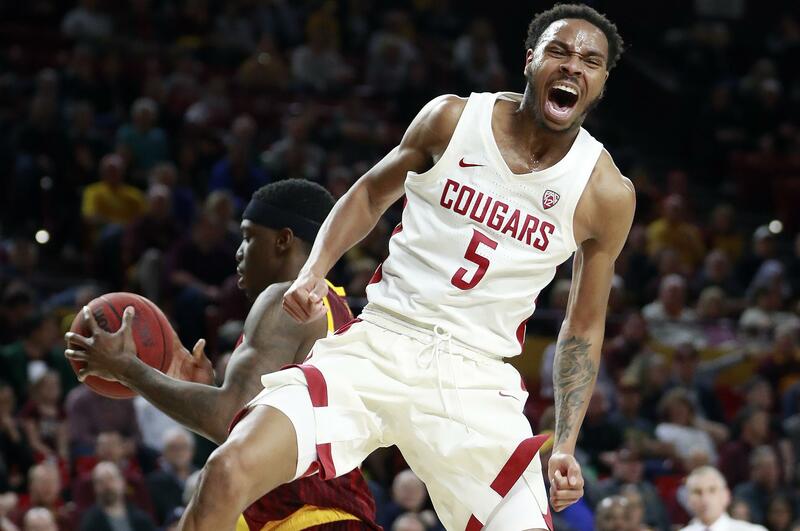 TEMPE, Ariz. – Robert Franks Jr. matched his career high with 34 points and Washington State stunned Arizona State with a dominant 91-70 victory over the Sun Devils on Thursday night. Arizona State (15-7, 6-4) had won four of five and figured to be headed into an important game Saturday against Pac-12 leader Washington. But the Sun Devils were derailed before they got to the Huskies. Franks, who scored 34 last season against California, made 11 of 16 shots, 5 of 8 3-pointers, and grabbed 13 rebounds. Marvin Cannon added 13 for Washington State. Published: Feb. 7, 2019, 7:42 p.m. Updated: Feb. 7, 2019, 8:50 p.m.